Today, I am introducing you to kremrole, one of the most popular and traditional Czech pastries. 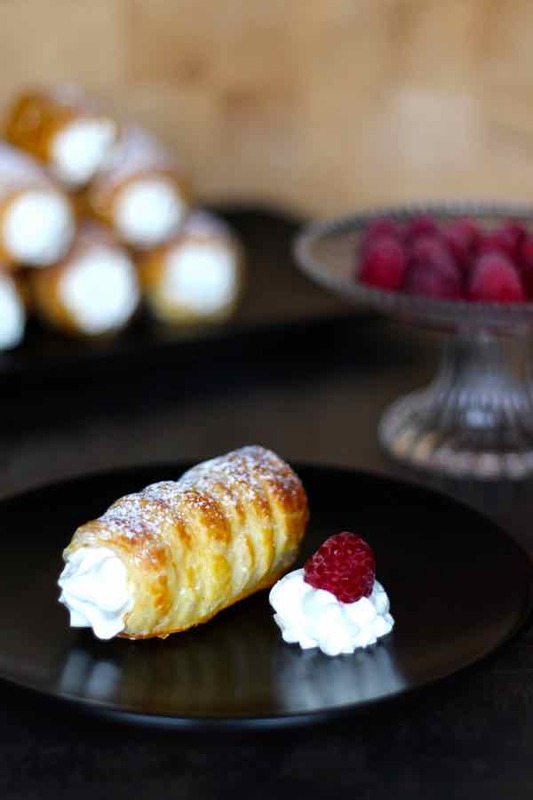 Kremrole, literally “roll of cream”, is a crispy roll-shaped puff pastry filled either with meringue or whipped cream, that is sweet and slightly flavored or not. 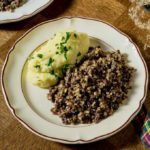 With the Czech Republic located at the heart of Europe, its cuisine could only be influenced by its neighbors, Germany, Austria, Poland and Slovakia and vice versa. 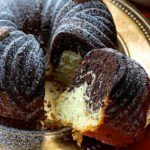 You can find kremrole in all these countries and, like the buchty, kremrole is very popular throughout the region of Bohemia, this historic region of Central Europe, bordered by Germany, Poland, Austria and the Czech Republic. In Austria, these cream rolls are called Schaumrollen, which literally means “foam roll” and the Germans call them Schillerlocken. What is the origin of kremrole? There are three claims around the origin of kremrole. 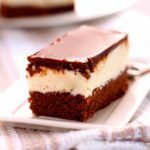 The first claim is related to the name that the Germans gave to this dessert, Schillerlocken. The name Schillerlocken dates back to the work of the painter Anton Graff, between 1786 and 1791, namely the portrait of Johann Christoph Friedrich Schiller, a German poet, writer and theorist. This portrait shows Friedrich Schiller sitting at a table, with his curly blond hair in a casual pose. This portrait, now in Dresden, has been the subject of several imitations. Schiller’s golden locks were so beautiful that the kremroles were named after him, and its dough strips rolled around a tube, like a beautiful blond curl around a flat iron. 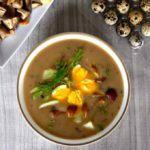 The other claim comes from Vladimír Poštulka, a Czech writer, publicist, screenwriter and food critic, author of texts for many popular songs, but also one of the most famous evaluators of Czech cuisine. 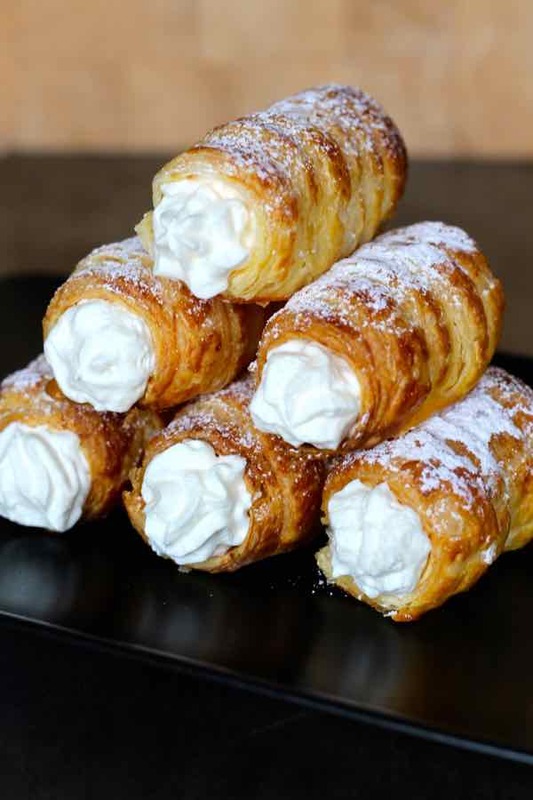 He claims that kremrole is nothing but the Czech version of an old French pastry called cornets d’amour (cones of love). This traditional grandmother’s pastry recipe was once found in all pastry shops in France and it has now almost disappeared, at least in the form of cone. 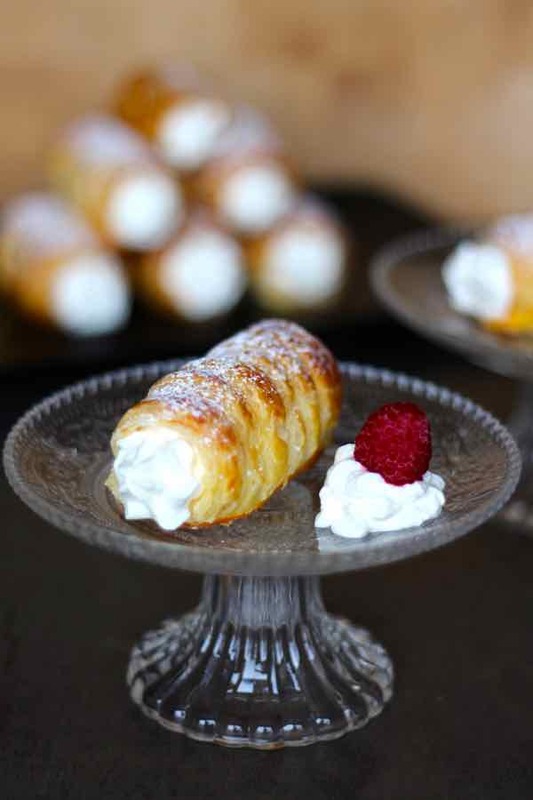 Most often, cornets d’amour were filled with vanilla pastry cream but sometimes with whipped cream, just like kremrole, or with chocolate. 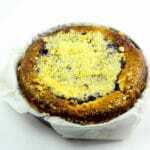 Other people claim that the famous Austrian cake, kremschnitte, is the ancestor of kremrole. 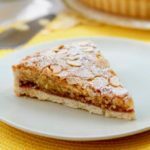 Note that kremschnitte is a variant of millefeuille (Napoleon), like the Croatian kremšnita that I prepared after my trip to Montenegro. Croatia and Montenegro are actually two countries where puff pastry rolls are stuffed with various creams. Now let’s talk about the kremrole dough. There are two schools for the dough recipe. The first is a classic puff pastry and the second is a dough made from sour cream. The idea of getting a crisp puff pastry with sour cream intrigued me. So I chose to prepare this recipe first. 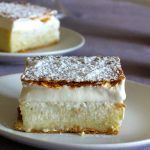 Being a fervent admirer of our famous French chef, Chef Simon, and his puff pastry recipe that I prepared to make my millefeuille, I now always have some in my freezer. When I made the kremrole again, I actually used real traditional puff pastry. I must admit that both versions were just as delicious. You can obviously use store-bought puff pastry for this recipe. 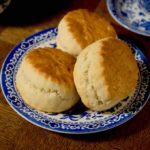 Also note that the rolls, once baked, freeze very well (not filled) and can be used for both sweet and savory preparations. Kremrole has a roll shape. 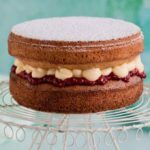 It is filled with whipped cream or meringue. It usually measures between 2 and 3 inches. Kremrole is made by cutting 1-inch wide strips of dough wide that are rolled in a spiral around a metal tube and overlapping with each turn. You will easily find these metal tubes on the web. They measure about 4 inches and are about 1 inch in diameter. Note that Mike created similar tubes (although wider) with magazines and tinfoil to make his trdelnik. We already used these tubes and cones when I was a kid in Morocco. We rolled them with strips of a very fine dough and filled them with marzipan, similarly to cornes de gazelle. If you have a sweet tooth, Prague is surely a city for you. It offers delicious pastries. On every street, you will find at least one cukrárna (pastry shop), that will feature delicacies such as bábovka, buchty, bublanina, vanocka, or kolache. 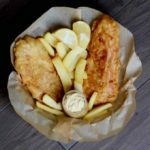 While waiting to walk the streets of Prague, let’s just browse those of 196 flavors for all these delicious Czech recipes! 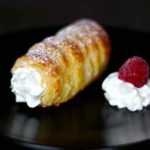 Kremrole is a deliciously crispy roll-shaped puff pastry that is filled with meringue or whipped cream that is popular in the Czech Republic, Austria, Germany and Slovakia. In the bowl of a stand-mixer with the flat beater attachment, mix the flour, salt and butter at low speed for 2 minutes. Then add the egg yolk, vinegar and cream and knead, this time with the dough hook, until a homogeneous dough is formed (add a little cold water if necessary). Wrap the dough in plastic wrap and keep it in the refrigerator for 8 hours. On a very lightly floured work surface, roll the dough to a thickness of about ⅛ inch. Cut strips about 1 inch wide and 6 inches long. Coat all the tubes with the butter and roll each strip of dough around a tube making sure that the dough overlaps on each turn. Mix the 2 egg yolks and the milk well, and brush the kremrole dough with this mixture. Place the tubes on a baking sheet lined with parchment paper. Bake for about 15 to 20 minutes or until golden brown. When the kremroles are cold, carefully slide them off from the tubes. Pour the egg whites and the salt into the stand mixer. Pour the sugar and water into a saucepan and bring to a boil over high heat. Check the temperature with a thermometer. 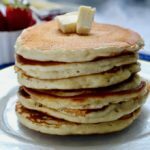 When the sugar reaches 212 F, start to beat the egg whites at full power. When the sugar reaches 244 F, reduce the speed of the mixer and immediately pour the sugar gradually. It must be very fast as the temperature of the sugar syrup should not continue to rise. Once the sugar is incorporated, return the mixer to maximum speed and beat for 5 minutes. Then reduce the speed of the mixer to medium and beat until the bowl has completely cooled. Fill the pastry bag with the meringue and stuff each kremrole. Lightly and gently brush each roll with the melted butter and sprinkle icing sugar. 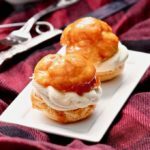 You can also fill the kremroles with sweet or unsweetened whipped cream. Dear Vera: Thank you for tbe delicious recipe. I cannot wait to make them. I hope i do a good job ! I will let you know. Sincerely, Mrz. Susie Hall. Thanks for sharing, Kim. I am sure it brings a lot of wonderful memories. How many tubes do you need for this recipe? Hey Vicki, the recipe is for 25 pieces, so ideally 25 if you want to bake them all at once. Enjoy!